Some things I'm dreaming of for my two kids. 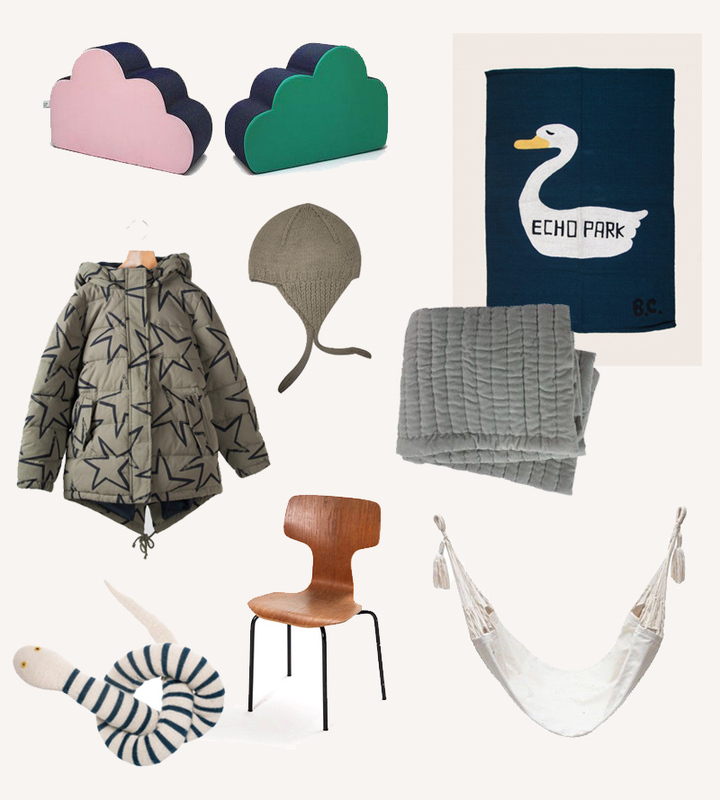 Buclo play modules, stars anorak for my son, Bonton bonnet for Elin, Arne Jacobsen child's chair, striped snake toy, BC swan rug, a grey duvet, and a perfect little hamoc. Lovely choices! cant wait to know my babys colors to start looking for great things. Enjoy!